Congratulations to Dr. Kathy A. Hibbard, who recently accepted the honor to serve as chair of the American Geophysical Union (AGU) Fall Meeting Program Committee. Her three-year term of office begins in January. She will also serve as an ex-officio member of the Meetings Committee through 2013. Hibbard has more than 25 years of experience in the atmospheric sciences. 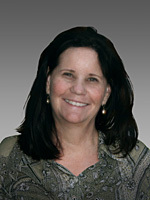 With more than 30 peer-reviewed journal articles, reports, and book chapters, and more than 1600 citations since 1991, Hibbard is recognized for her expertise in the consequences of human activities with terrestrial biogeochemical cycles and their interactions with the climatic and ecological systems. She holds a Ph.D. in Rangeland Ecology and Management from Texas A&M University. Hibbard has been an AGU member since 1994. In her role on the Meetings Committee, Hibbard will help guide the organization in responding to the needs of the geophysical community and collaborate with established partners to plan, structure, and manage AGU meetings, fulfilling the strategic goals of the Union. Established in 1919, AGU promotes the science of Earth and space in cooperation with national and international scientific organizations. AGU publishes more than a dozen peer-reviewed journals and technical publications, sponsors scientific meetings and scientific and educational events to promote understanding from Earth and oceans to atmosphere, space, and planets. For more information about AGU, see their website.